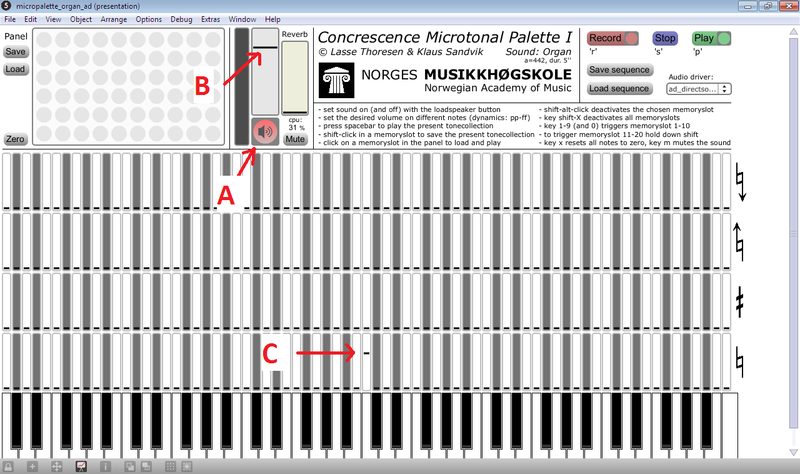 The Micropalette is a tool used for listening til microtonal tones, chords and intervals. Right-click and choose "Save as..." to download the files. 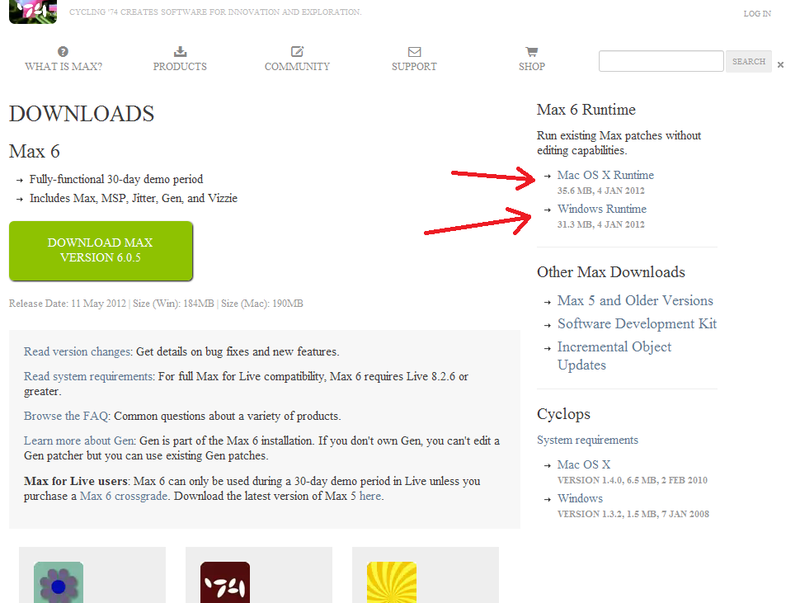 Go to http://cycling74.com/downloads/, download and install the Max 6 Runtime. 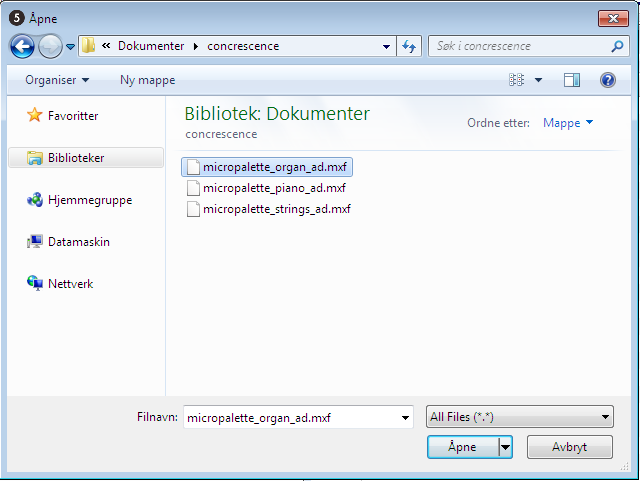 Download one or more of the Micropalette packages from the top of this page. Unzip their file contents to a suitable place on your computer. Click "File" -> "Open..." in the menu. 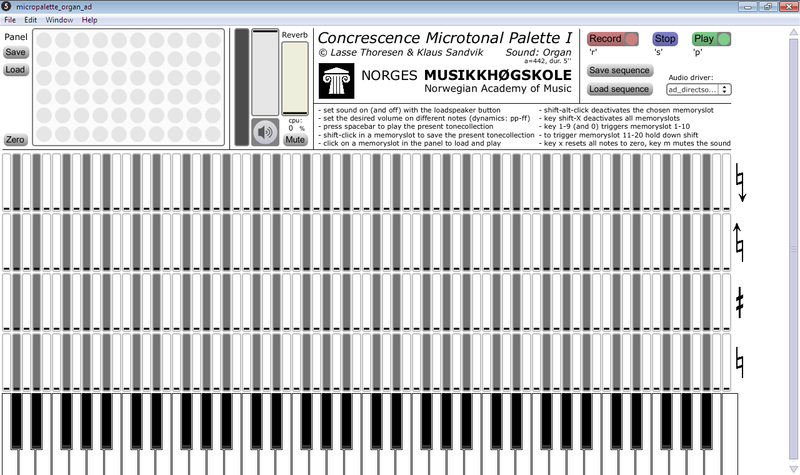 Choose one of the micropalette files, depending on which instrument's sound you want to hear. 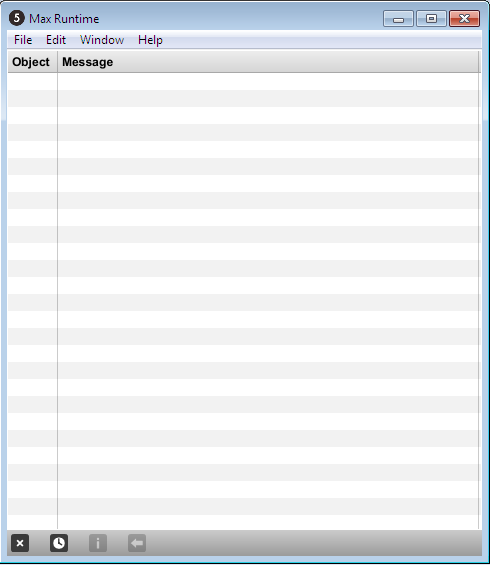 The opened program should look like this, and is now ready to be used. Press the space bar on your computer keyboard to start playback. Oh no, there's no sound! Try downloading Eirik's magical patch (right-click link, save as), and open it in Max Runtime together with the Micropalette. Follow on-screen instructions in this patch.